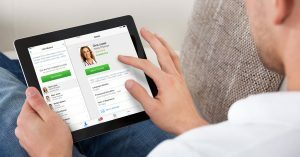 Every health system has a different strategy for using mHealth and telehealth that builds on its own strengths. No two mHealth or telehealth programs are alike. 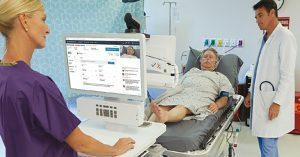 Some telehealth platforms look great from the outside, but fall short of expectations. That’s why today’s healthcare providers looking to transition into telehealth must to consider both internal and external criteria before deciding what programs to pilot and what solutions to implement. 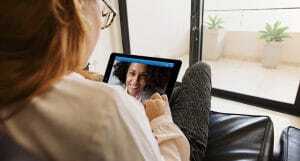 Backed by $50 million in state funding, MUSC has developed a solid telestroke and tele-behavioral health program and has plans to grow its school-based telehealth program, provide telehealth services to correctional institutions, build a platform for large employers and get into remote patient monitoring. In 2015, MUSC rolled out its school-based telehealth program to 3 select schools. MUSC began by identifying schools in the state’s poorest regions, where children with any sort of health issue went straight to the nearest ER. 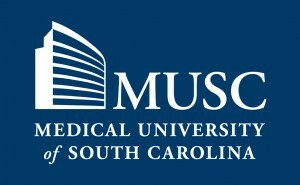 By linking with those schools, MUSC gave children and their parents – and school staff – a quick and convenient link to healthcare, reduced absenteeism, improved morale and reduced the strain on local hospitals. The school-based telehealth program is now in 20 schools, and MUSC plans to double that total by next year. In nearby Georgia, Rena Brewer overseas the Georgia Partnership for Telehealth (GPT) network that spans three states and is branching into Central America. Brewer joined the GPT after serving as the director of the Southeastern Telehealth Resource Center, one of 14 federally funded centers (12 regional and two national) scattered across the country to provide guidance to local healthcare providers and others interested in launching and sustaining telehealth programs. While she recognizes the growth of telehealth across the country, Brewer has also see a lot of telehealth projects fail. GPT also sees the potential in growing school-based telehealth, with more than 70 schools in Georgia alone are connected to their network, in addition to dozens of schools in neighboring states and a few colleges. Brewer and the GPT are also developing tele-behavioral health programs, and are pushing into skilled nursing facilities (SNFs). Hospitals are also partnering with local physicians and clinics to create a community health network to extend the care typically only available in hospitals to patients who simply need to visit their local provider. Dr. Pitt has been monitoring a shift in how health systems approach care coordination. Traditionally, they created external business partnerships, but now they are bringing resources back into the institution. Fee-for-service care is giving way to role-based care, with the provider being the link. Business models are changing, but there are challenges. Hospitals generally have poor strategic roadmaps, says Pitt, and aside from the organizations with telehealth directors or chief innovation officers (a rare but growing C-suite position), few have someone on hand to “own” telehealth. In addition, the industry as a whole isn’t mature enough yet for health system to simply pick up the technology, plug it in and make the best use of it. Click here to read the complete article on mHealthIntelligence.com.